The Internet of Things (IoT) is a term which has proliferated in the last decade. IoT refers to any physical device which is connected to the internet. It can apply to smart devices, but the IoT rabbit hole goes much deeper than these more obvious items. As the field service industry revolves around monitoring complex systems for damage or performance issues and reacting swiftly to rectify them, IoT devices have massively disrupted the way business has been done – for the better. Worldwide Business Research (WBR) has been monitoring the emergence of IoT and its integration into the field service industry, and identified several ways in which IoT will disrupt operations in the future. In its present form, the field service industry largely adopts a break-fix approach to operations. This is to say, when a problem develops, the client suffers disruption due to a system such as the air conditioning going down, and it is only then – after the disaster has already struck – that a technician is called in to repair it. However, as more and more infrastructure becomes outfitted with IoT-enabled sensors, field service professionals can receive regular reports from the systems they’re monitoring, allowing them to react to emerging issues before they cause disruption. This results in not only happier clients, but also simpler fixes rather than large-scale repairs. In the pre-IoT world, once a client reported an issue, a technician would have to be dispatched to diagnose the source of the problem before any repairs could be attempted. However, as more and more devices autonomously report their status to digital networks, this aspect of the technicians’ role has been greatly reduced. Technicians can now adopt a procedural approach to repairs, as opposed to diagnosing unidentified malfunctions, to significantly reduce the time required for each repair. While this approach is calling for a different skillset than many existing technicians, it will also result in new roles being created. An immediate advantage of an IoT-enabled infrastructure reporting to field service personnel is the knock-on effect of increasing revenue for all sides of the interaction. Not only in seizing the opportunities presented by new and emerging industries, such as the maintenance of ocean-based wind farms, but also in how business is carried out with existing clients. Clients will generally be more satisfied with the service, as the shift to being able to predict potential issues and act before they become a major problem means far less down-time for their businesses – and thus, less interruption to their revenue stream. Satisfied customers will not only have a greater chance of being retained, but also be more likely to recommend field service agencies to other businesses, meaning an increase in clients for the industry. The reduction in costs to the field service industry will also be a factor, as the optimization of diagnostic processes will reduce the time needed by technicians on each job. This means that more callouts can be completed in each day, resulting in a more efficient business model. The ability to remotely diagnose and monitor the complex systems and technologies field service technicians are responsible for is a major component of the industry. With the increasing integration of IoT, metrics which would traditionally need to be evaluated manually and individually can instead be sent automatically and simultaneously to a diagnostic center for appraisal. Software issues could even be diagnosed and repaired remotely thanks to IoT – potentially avoiding the need for dispatching a technician altogether. With 68% of field service industry experts predicting a major role for wearable technology in the future, and 53% thinking the same for the full implementation of IoT technology, the potential for remote diagnosis and repair is even greater. Being able to diagnose and potentially repair an issue from a smartwatch or similar device would represent a true paradigm shift for the field service industry. 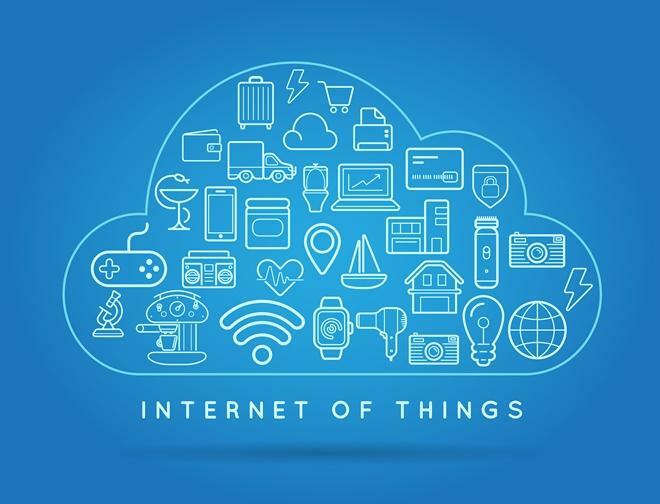 IoT technology not only allows connected devices to report to a central hub, but also empowers them to be able to communicate with one another. By breaking down the physical barriers between the components of a system, you allow individual objects to coordinate with, and account for one another – thereby enhancing their collective performance. Field service technicians will be able to use this unprecedented integration to create a bird’s eye view of the entire network of connected devices and systems, allowing for complete analysis and optimization of that network. IoT has the potential to revolutionize the way the field service industry carries out its business. From diagnosis and repair right down to the bottom line, IoT is well on its way to streamlining and optimizing field service work on every level. Based upon findings from ‘The World Made Web: What Service Will Look Like After IoT’– a WBR white paper. Learn more about the latest innovations in IoT at Field Service Europe 2018. Be sure to download the Field Service Europe 2018 Agenda for more top insights and challenges facing the industry today.